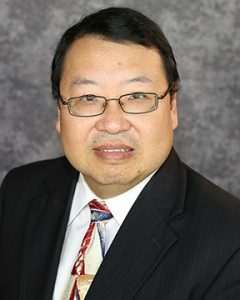 Robert Lee received his BSEE in 1983 from Lehigh University in Bethlehem, PA and his MSEE and Ph.D. in 1988 and 1990, respectively, from the University of Arizona in Tucson. From 1983 to 1984, he worked for Microwave Semiconductor Corporation in Somerset, NJ as a Microwave Engineer. From 1984 to 1986, he was a Member of the Technical Staff at Hughes Aircraft Company in Tucson, Arizona where he worked on microwave IMPATT diode oscillators and amplifiers. From 1986 to 1990, he was a research assistant at the University of Arizona. In addition, during the summers of 1987 through 1989, he was a visiting scientist at Sandia National Laboratories in Albuquerque, NM where he worked on electromagnetic modeling for the particle beam fusion accelerator program. Since 1990, he has been a faculty member at The Ohio State University. He has held several administrative positions at Ohio state including Graduate Studies Chair, Department Chair, and SimCenter Director. Professor Lee teaches courses in the area of electromagnetics, and his major research interests are in the modeling and design of electromagnetic devices. Since 2014, he has been actively involved in the process of commercializing university technology. He has helped spin out four startup companies out of OSU technology.